Alex and Sarah are both active chess players; Sarah (WFM) plays for the England Ladies team and was British Ladies Champion in 2013. Alex plays in division one of 4NCL and is a FIDE Master. Their passion for chess was the catalyst to running this competition. 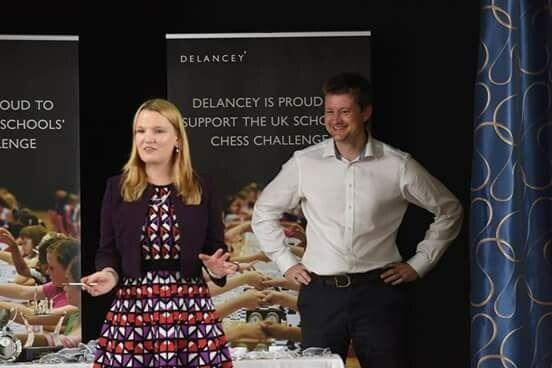 Understanding the chess environment enables them to make the Delancey UK Schools’ Chess Challenge the best junior competition in the UK. In fact it was Sarah’s first ever tournament back in 1996! Alex Holowczak is the Director of Home Chess for the English Chess Federation. As an organiser, he organises the Festival tournaments of the London Chess Classic, the British Chess Championships, and has organised the Warwickshire and Worcestershire Megafinals since 2014. As an arbiter, he has worked at the World Chess Olympiad in 2016, the World Youth Championships in 2014, the Four Nations Chess League, and numerous other local weekend tournaments and rapidplay tournaments around England. For admin enquiries please email: admin@ukchess.co.uk.